WORLD CUUUUP! WORLD CUP! We hate that we are so excited for the World Cup. We hate it. We're not the people vigorously defending Sepp Blatter online. We're the OTHER guys. We shouldn't be this excited. But WE ARE. WORLD CUP! And this is the ONLY World Cup preview you'll need. The only one. Hosts Gabe Lezra and Evan Mateer go through each group (who will win the Group of Death, Uruguay, Russia, Egypt or Saudi Arabia? Not Saudi Arabia. ), each narrative, and each thing to watch. There aren't any other World Cup previews online. Don't Google that. Seriously. 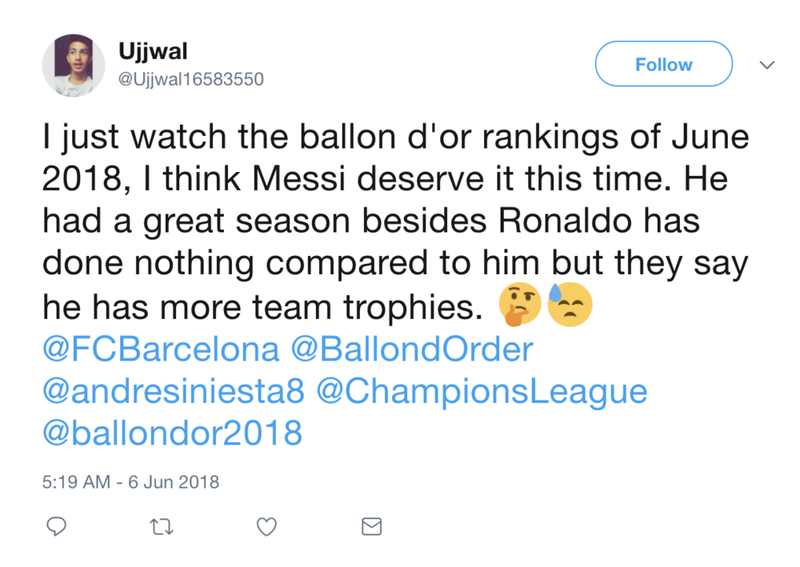 Also: Alexi Lalas and Gary Lineker having extremely regular ones, shoutout to the guy who tweeted @BallondOrder assuming we award the Ballon d'Or (who do you THINK he supports for the award? ), and non-soccer people writing about soccer.